» Booking and Media The Rev. Wil Gafney, Ph.D.
Education: BA Earlham College, 1987; MDiv Howard University School of Divinity, 1997; Graduate Certificate in Women’s Studies, Duke University, 2000; PhD in Hebrew Bible, Duke University, 2006. The Rev. 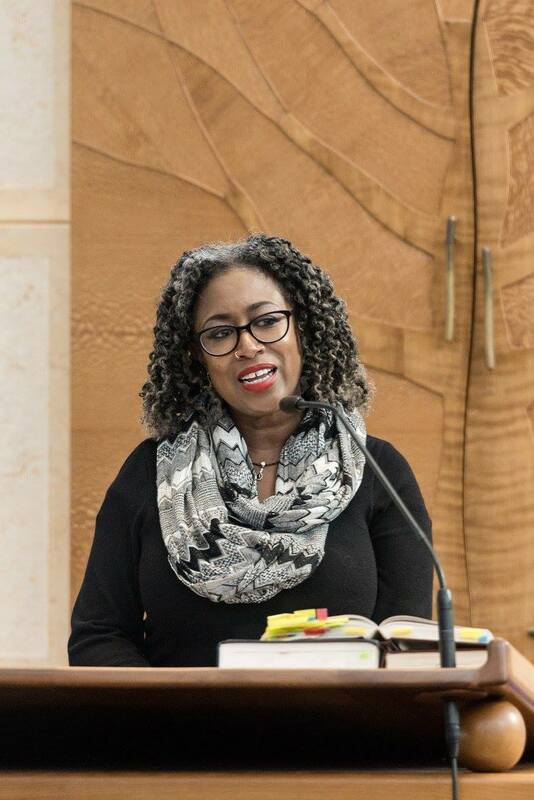 Dr. Wil Gafney is Professor of Hebrew Bible at Brite Divinity School in Ft. Worth, TX where she teaches masters and doctoral students in initial and advanced degree programs including MDiv, ThM and PhD. Dr. Gafney is the author of Womanist Midrash: A Reintroduction to the Women of the Torah and the Throne (Westminster/John Knox), a commentary on Nahum, Habakkuk and Zephaniah for the Liturgical Press Wisdom series, Daughters of Miriam: Women Prophets in Ancient Israel and co-editor of (Prophets and the Deuterocanonical Writings/Apocrypha) The Peoples’ Bible and The Peoples’ Companion to the Bible, (Fortress), and commentary on Judges in the CEB Women’s Bible. Her most recent essays include: “A Womanist Midrash of Delilah: Don’t Hate the Playa Hate the Game” (Womanist Interpretations of the Bible: Expanding the Discourse, Society of Biblical Literature), “A Womanist Midrash on Zipporah” (I Found God in Me: A Womanist Biblical Hermeneutics Reader, Cascade Press), “It Does Matter If You’re Black or White, Too Black or Too White, but Mestizo is Just Right” (Re-Presenting Texts: Jewish and Black Biblical Interpretation, Society of Biblical Literature) and “A Queer Womanist Midrashic Reading of Numbers 25:1-18” (Leviticus and Numbers: Texts @ Contexts). 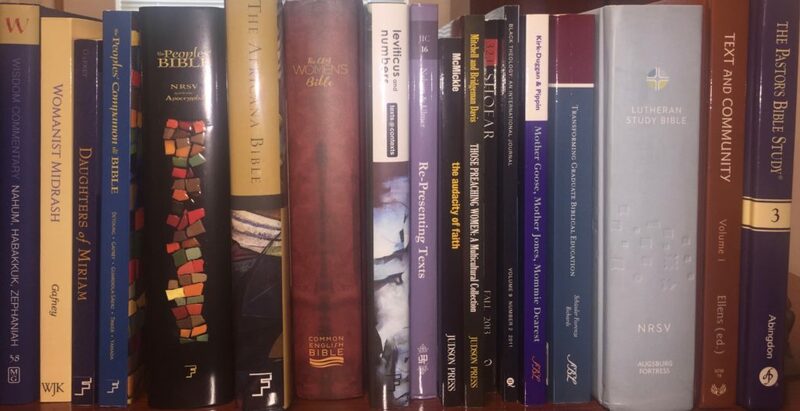 Other projects include series of bible studies in Genesis in the Abingdon Pastor’s Bible Study, Volume III, an exploration of motherhood in messianic genealogies in “Mother Knows Best: Messianic Surrogacy and Sexploitation in Ruth” in Mother Goose, Mother Jones, Mommie Dearest: Biblical Mothers and their Children (Brill), and a commentary on Ruth and article on “Responsible Christian exegesis of the Hebrew Scriptures” in The Africana Bible (Fortress). Dr. Gafney has also contributed to the Lutheran Study Bible, (Fortress), and is anticipating publication of a commentary on the book of Numbers in the African Women’s Bible Commentary. She also has an essay on transformative teaching practices, “Intoxicating Teaching as Transformational Pedagogy” in Transforming Graduate Biblical Education: Ethos and Discipline published by the Society of Biblical Literature. Dr. Gafney’s sermons have also been published in Those Preaching Women and The Audacity of Faith, both by Judson Press. Dr. Gafney’s courses include Introduction to Interpreting the Hebrew Bible, an advance seminar translating and interpreting Exodus, masters-level seminar on Exodus and Accordance Bible Software supported exegesis of the Hebrew Bible from the Hebrew text. Her doctoral seminars on Exodus, Judges, and Womanist Biblical Interpretation are characterized by attention to translating the text from multiple manuscript traditions including Masoretic, Septuagint, Qumran, Samaritan and Targumic with rabbinic commentary. All levels include womanist, feminist post-colonial and queer commentary. Her course, The Bible and Black Lives Matter, examines the core claims and commitments of the Black Lives Matter movement in light of the biblical text with an eye to preaching and teaching the scriptures in response to the extra-judicial killings of black women and men. Her approach to teaching the Hebrew Scriptures includes emphasizing archaeology, comparative ancient Near Eastern literature, and the Dead Sea Scrolls. Other courses she has created include Suffering in Job and the Holocaust, introductions to Rabbinic Literature and the Dead Seas Scrolls, Exodus in African and African American Exegesis, The Bible in the Public Square, Heroines, Harlots and Handmaids: the Women of the Hebrew Scriptures with sections on “Cosmic Herstory,” “Carnal Knowledge” and “Postcolonial Musings,” and Prophetic Constructions, which explores prophets who do not have canonical books attributed to them, including better-known prophets such as Miriam and Nathan, Elijah and Elisha, along with lesser-known prophets such as the woman with whom Isaiah fathered a child. Among her research interests are feminist biblical studies, rabbinic studies, and issues in translation. Her interest in the ancient Near Eastern and biblical portrayals of Lilith and other night-stalking creatures led to her participation in two HBO documentaries on the origin and evolution of vampire mythologies, True Bloodlines: Vampire Legends and True Bloodlines: A New Type in 2008, airing before the series premiere of True Blood. 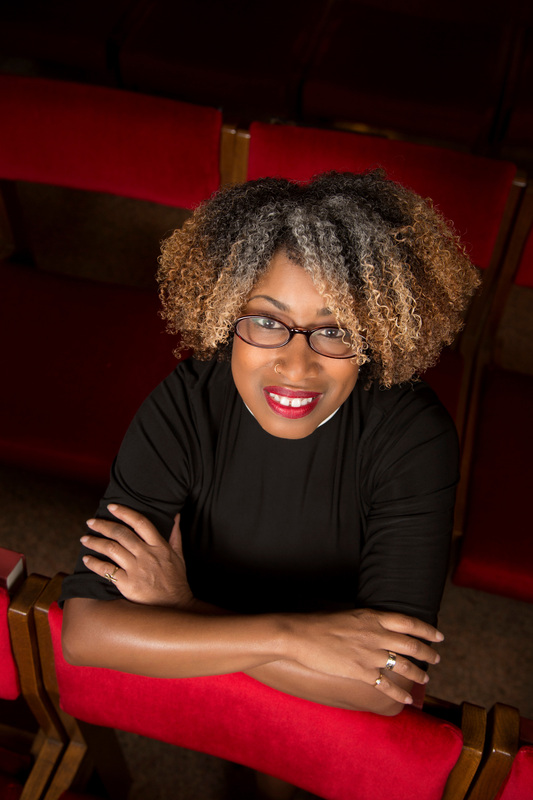 Dr. Gafney, an Episcopal priest, remains a member of the historic African Episcopal Church of St. Thomas in Philadelphia, PA as she is canonically resident in the Episcopal Diocese of Pennsylvania. Founded in 1792, it is the first Episcopal church in the U.S. founded by and for African Americans. She is a former member of the Dorshei Derekh Reconstructionist Minyan of the Germantown Jewish Centre, in Philadelphia. She remains actively engaged in inter-religious work and is particularly interested in how Jews and Christians interpret the texts they hold in common. She is also licensed in the Diocese of Fort Worth. Dr. Gafney is a former US Army Reserve chaplain who served the Thompson Chapel A.M.E. Zion Church as pastor before joining the Episcopal Church. A number of Dr. Gafney’s sermons in Jewish and Christian congregations are posted in her blog. In most cases, the translation of the scriptures is her own. Dr. Gafney s an occasional contributor the Huffington Post, Religion Dispatches, Sojourners and Working Preacher. Visit Dr. Gafney’s Amazon author page here. Dr. Gafney’s sermons have also been published in Those Preaching Women and The Audacity of Faith, both by Judson Press.